Ever since Samantha Winthrop's mother moved them to Lacuna Valley, supposedly in search of better weather, the list of strange questions she has no answers for has been growing out of control. Does her little sister, Violet, have the ability to make things happen just by "praying" for them? Are Sam's dreams really predicting the future? Is she destined to marry the boy she just met, and what is the mysterious orb that he's guarding? Why does she get the impression that there are dangerous creatures watching from the woods? Welcome to Obsession with Books Faith, Are you able to tell us a little about your book Prophecy Girl and yourself? Thanks for inviting me! I'm a nomad. I travel around the US with my husband and our pet bunny (Dorian Gray) in an RV. Right now we're staying put for a while near Seattle, Washington. When I'm not writing, I'm usually walking around taking pictures, or playing lots of board games with my husband. Or I'm on Twitter. Always on Twitter. 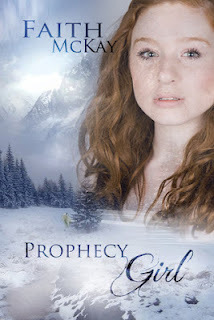 My novel, Prophecy Girl, is a young adult urban fantasy. The main characters are all young people who have a lot of heavy stuff on their shoulders. Sam has an abusive mother, who also happens to be evil. Her little sister, Violet, is extremely powerful—which is more weight on Sam, and Violet. And Nick, well, Nick has always had a lot of responsibility. As if their personal situations weren't enough, they all have to deal with the actions of Sam's mother, who is a threat to all of their lives. How many books do you have planned for the Lacuna Valley series? Three. I had originally wanted to do a stand-alone novel, and it wasn't until I was halfway through writing Prophecy Girl that I realized just how impossible that was. I had to get rid of a lot of my very first draft because of it, but it was worth it. I don't remember why, because I'm one of those authors who started when I was really young. I was this little kid who scribbled marks on pages before I could actually form letters. I then bound the pages together and handed them to people. I guess I always just felt like it was what I did. It was my purpose. I roll out of bed with an awesome dream that I can use in my story, start writing, and get sick because I forget to eat lunch—I'm just too absorbed in my work. Those are the best days. If you follow me on twitter, you probably know a lot of weird things. I make themed playlists (like Hands, Home, Stars, Songs That Make Me Cry....). I write on paper, and then type up what I've written the next day before I start writing new stuff. I carry at least four different pens around with me, because my preference changes with my mood. I'm chronically ill and can't get out of bed some times, so I write propped up on one elbow. My husband reminds me this is not pathetic, it makes me a warrior. :) Every time he tells me this, I imagine a caricature of myself with giant curly hair and a pen in my hand held up like a sword. When I start a story I write a lot of random scenes. Usually, I'm inspired to work on a particular project and have a number of scenes playing through my mind. I get those down first. Then I print them off, take out some post-it notes, and fix those scenes in with ideas for events that I write down on the post-its. Once everything is in order, I start filling in the pieces to build a story. This is probably really strange and weird to admit on the internet, haha. My dreams, artwork, and music. I have a lot of very strange and vivid dreams, and work a lot of them into my stories. They inspire a lot of twists and turns while I'm writing. When I'm stuck on something, I surf deviantart.com. I have bookmark folders full of my favorite artists. I stare at lots of pieces for a great deal of time and then close my eyes and I end up somewhere else and ready to write. I listen to more music than people are probably supposed to. I often listen to one song on repeat all day while I write if I can find a song that matches the scenes I'm working on perfectly. Is there any book you are reading at the moment? And do you tend to favor a particular genre? I am reading so many books at the moment that I'm not sure how many there actually are. I'm a book hopper, and I love it. I know I read from three different novels last night. I tend to read a lot of young adult paranormal novels and graphic novels lately. 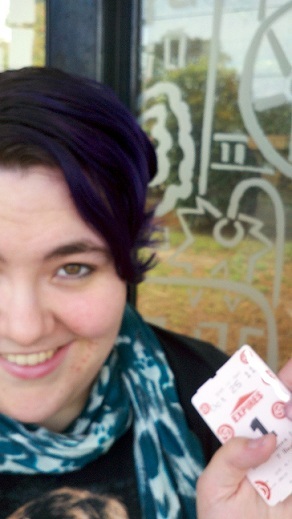 I'm so obsessed with Locke & Key by Joe Hill! They are probably the best graphic novels I've ever read. If Prophecy Girl were to be made into a movie, who would you chose to play the roles of your main characters? I'm working on both Lacuna Valley #2 (I didn't name Prophecy Girl until it was already completely done, and even then my husband did it, so I can't give you a title, sorry! ), and Luminescent. Luminescent is the start of a new young adult series. It is a fast-paced, action packed, fantasy and science fiction story with four teen girls for main characters. I'm terribly in love with this project! Coffee or tea? Neither :( Soda? Ideal travel destination? I've changed this answer a dozen times! Travel is a huge passion of mine. I want to go everywhere! ...I suppose my ideal travel picture right now is Kenya in an air balloon. Thank-you so much Faith for taking time to talk to us today! Thanks so much for having me, Sharon, the questions were fun. And thank you Obsession With Books readers, for reading this far! Faith McKay writes stories about characters with real world struggles in otherworldly settings. She is the author of PROPHECY GIRL, a story where characters struggle with the idea of having a destiny. In comparison, she feels really lucky that her destiny was to struggle with comma placement and be that awkward lady who points out puns at parties. Other things to know about Faith… She wears two different colored shoes. She is a survivor of child abuse. She has lived with chronic illness for over a decade. A lot of people don't like her because she laughs too much. It's also the reason a lot of other people do like her, so go figure. She listens to more music than people are probably supposed to. She's a nomad. The word sounds really cool, so a lot of people say it, but she actually lives in an RV with her husband and their pet bunny rabbit, Dorian Gray. Lovely interview and I like the sounds of the novel. thanks for sharing! Nice interview, and the concept behind this story sounds interesting. I soooo envy author Faith McKay for her life in an RV.